Collection contains 21 plastic figures. 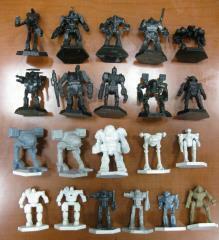 These figures are believed to come from the many Battletech box sets made by FASA. A figure or two may have a broken piece.